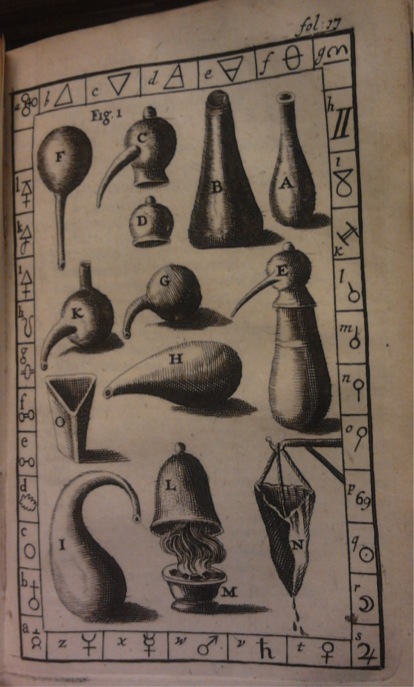 As regular readers know, I have a weakness for the material culture of early modern science and medicine. There are scores of brilliant museums full of the stuff, but there is a downside: the most common, most intensively used objects tend not to be in museum collections. That makes sense of course: their common and utilitarian character meant they were discarded when broken, damaged, or no longer in use. Most of the spaces in which these objects were used are long gone too: they were continuously modernized, or given a new destination and transformed beyond recognition. Unfortunately, that means that in some instances, such as that of the early modern laboratory, hardly anything of a material culture remains. There are some rare exceptions, and an exciting project based at UCL studies the archaeological remains of early modern laboratories. However, my current research focuses on the Low Countries, and as far as I know, no laboratory has been dug up here so far. What remains are individual flasks, bottles, jars and retorts. Fortunately, the (ideal) lay-out of early modern chemical laboratories and their inventories in the Netherlands have been mapped in print to some extent. 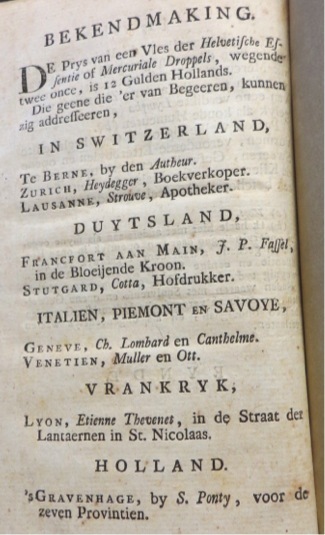 Take for example Steven Blankaart’s 1678 De nieuwe hedendaagsche stof-scheiding ofthe chymia (The new contemporary separation of substances or chymia). Blankaart, an Amsterdam physician and natural philosopher who had started his career as an apothecaries’ apprentice, published this book based on a variety of authors and his own experiences, to advocate chemical experimentation. In it, we find not only detailed descriptions of the properties and processing of all kinds of substances, but also four plates depicting a range of laboratory equipment. Blankaart’s book, written in Dutch, was aimed primarily at professional artisans such as apothecaries, assayers, and artists who made their own pigments. This was a flourishing trade in the early modern period, as also appears from the program of this fascinating conference, which I unfortunately will not be able to attend. 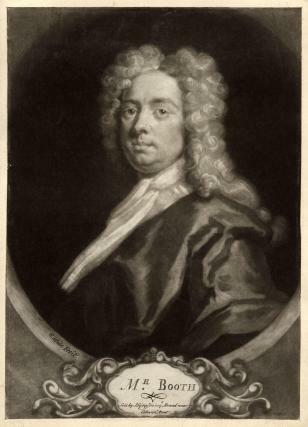 By the late seventeenth century, chemistry was also slowly becoming an academic discipline. In 1669, a chemical laboratory was created at Leiden University. 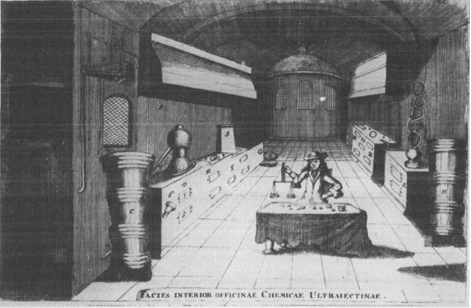 There are no maps or depictions of this laboratory, but it probably looked quite similar to the laboratory installed at Utrecht University in 1695. First chemical laboratory at Utrecht University, founded 1695. From: J.C. Barchusen, Pyrosophia (Leiden, 1698). That the laboratory in Leiden was used intensively shows from the report written by the newly appointed professor of chemistry Herman Boerhaave in 1718. He proposed to renew the ovens, as almost half a century of intense use had made them unfit, and the curators happily agreed. The lists Boerhaave provided of equipment that had been ‘inherited’ from the previous chemistry professor and of equipment and supplies that had to be purchased give a good idea about the inventory of the laboratory circa 1718: iron rings, hooks, spoons, spatulas, and pliers, copper kettles, bowls and buckets, bellows, a variety of glass flasks and bottles, six brickwork ovens, wood, coal and peat, and a well-instructed laboratory assistant. ” Vernieuwingh van de ovens, die in het Laboratorium door lang gebruyck onbekquaem sijn geworden.” From Boerhaave’s report to the Curators of the University, August 1718, in Molhuysen 1913, vol. 4, p. 150*. Ibidem, p. 150*-2*. Although the latter admittedly is not exactly an object, Latour would argue they are all actors, so why not list him as well.